Space astrophysics mostly depend on ground based telescopes for observation. However the most important part has to do with observation from outer space using satellites and space-shuttles. By observing space from outside of earth’s atmosphere it is possible to gather much richer information by using techniques that would be ineffective from ground-level, such as measuring x-ray radiation. Dr. Ioannis Georgantopoulos gives us a glimpse into how x-rays allow scientists to have a much richer view of many uncharted territories of space which would otherwise be invisible. We also talk about the current and future space missions that the Institute for Astronomy, Astrophysics, Space Applications and Remote Sensing participates in and the expected outcomes. Finally we talk about the involvement and collaboration opportunities for small or medium software and hardware companies in Space programs, how easy is it to get funding and how a company can fill-in any competence gaps. Interviewed by George Voulgaris for Tech Talks Central. Dr Ioannis Georgantopoulos obtained his PhD in Astrophysics at the University of Durham (UK) in 1991. He was a Postdoctoral Researcher at the Physics Department of the University of Leicester (UK). In 2002 and 2006, he was member of NASA’s Chandra-X-ray mission time allocation committee. From 2004 to 2010, he was member of ESAβs candidate mission Athena+ science working group. During 2006-2007, he was member of ESA’s XMM X-ray mission time allocation committee. From 2007 to 2010, he was member of the ESA Astronomy Group and from 2009 to 2011, he was member of NHXM mission science working group. Since 2010, he is visiting scientist at the Bologna Observatory (Italy). 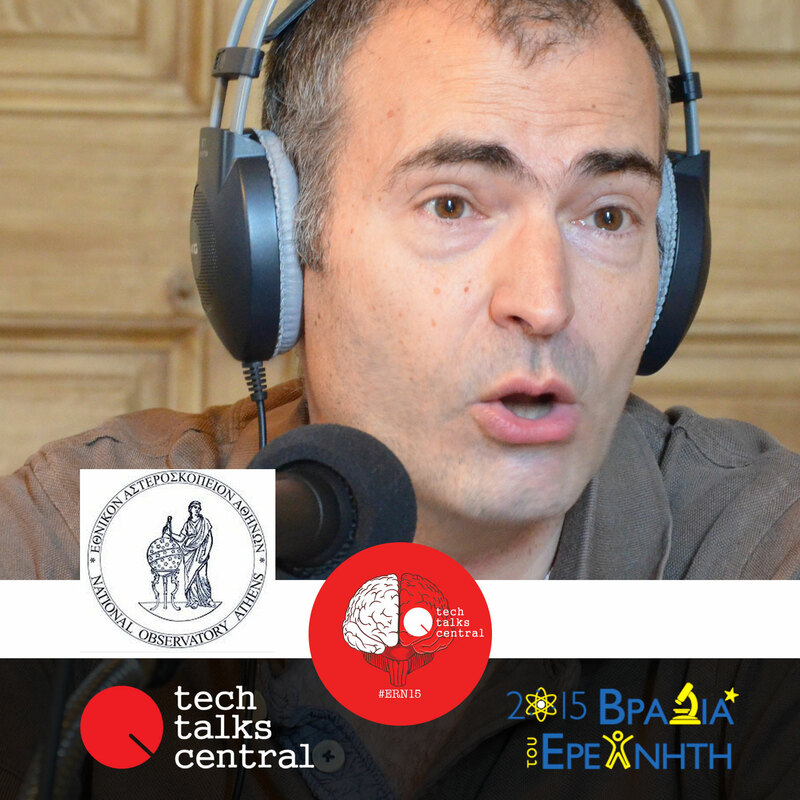 Since 1997, he works as a researcher at the National Observatory of Athens and since 2008, he is Research Director at the Institute for Astronomy, Astrophysics, Space Applications and Remote Sensing of the National Observatory of Athens.